Office window blinds are important. More important than you might think. When it comes to office interior design, it’s often the case that you will place all of your focus on furniture and decor, and overlook one of the key elements of office design – window blinds. 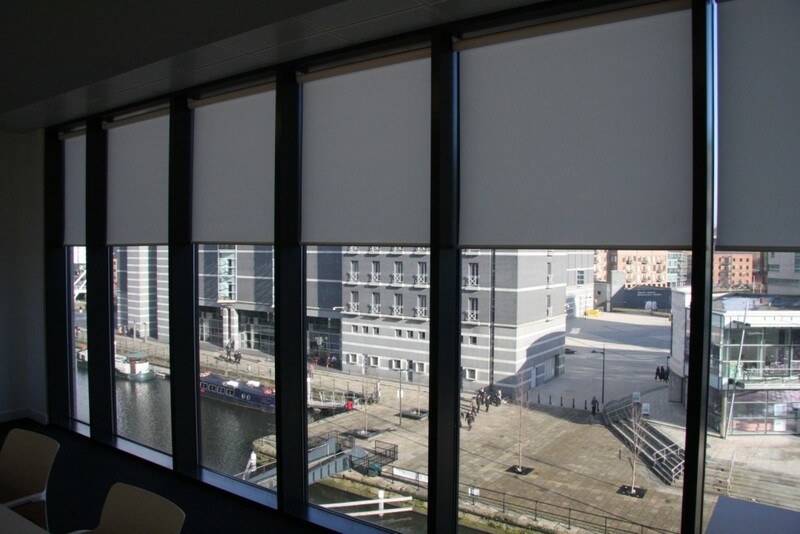 We’ve said it before, and we’ll say it again – office window blinds can transform a space. Window blinds are primarily used for privacy and security reasons, as well as to control the amount of heat and light in a room, but they have their aesthetical benefits too. There’s plenty of styles to choose from, to ensure that your window blinds really fit in with the overall design of your workplace. 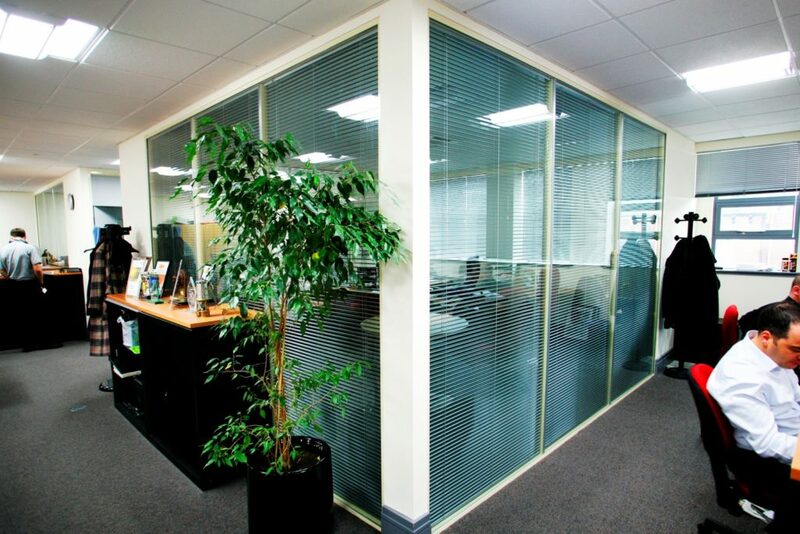 Vertical blinds are a popular choice in offices, mostly because they’re one of the best low maintenance options. Their vertical slats mean that they manage to keep dust at bay, so require less cleaning. It can often be thought that standard vertical blinds are bland and boring, but they are actually available in an array of colours to inject a bit more style into them for a unique look. Even opting for the standard neutral colour of vertical blinds, you’ll be adding a subtle hint of class without even knowing it. Though they’re a simple option, vertical blinds give a more welcoming and “put together” feeling to a room, which is automatically a lot more inviting. Another great choice for the office is venetian blinds, as they have a lot more flexibility in customising them to suit your preferred look. Venetian blinds are usually available in PVC, wood or aluminium, so it’s easy to find a style to suit most rooms. Venetian blinds have increased in popularity over recent years, due to their more modern looking design and wider choice of options. For a more luxurious, elegant design wooden venetian blinds would be the perfect choice to complete the look. More modern and edgy office designs would possibly be more suited to a sleek aluminium venetian blind for that added touch of ‘cool’. Either way, there’s a venetian blind for everyone! In the venetian blinds family, is also the offering of integral blinds. These are standard venetian blinds which are integrated in between a glass unit, be it a window, door or partition. These type of blinds look particularly stunning in standard PVC, and provide a much more clean, sleek and modern look. The great thing about integral blinds is that they’re applicable to all types of window frames, and are less likely to get damaged or dirty meaning that they can usually last a lot longer. Roller blinds are an entirely different concept to vertical or venetian blinds, as they are made up of just one strip of material. Roller blinds are the most versatile option, as they’re available in a vast range of colours, fabrics and patterns, meaning that you can heavily customise your design. This makes them perfect for matching the style of your existing decor and helping them to blend in easily. Or, stand out if you like! As there is no slats or openings on roller blinds, this gives them clean, simple lines that give off a super stylish vibe. All different types of window blinds have their individual benefits, but all of them can easily become a stylish statement if you choose the right ones. With so many different choices available, it couldn’t be easier to find blinds that match or enhance your existing style palate. So, there really is no excuse to not be dressing your office windows with blinds! For more information about our window blinds, or to discuss your requirements, please get in touch with our experienced team.